Here is a nice photo I found on Instagram from Ann Beaver. It says Hey Google, order food! 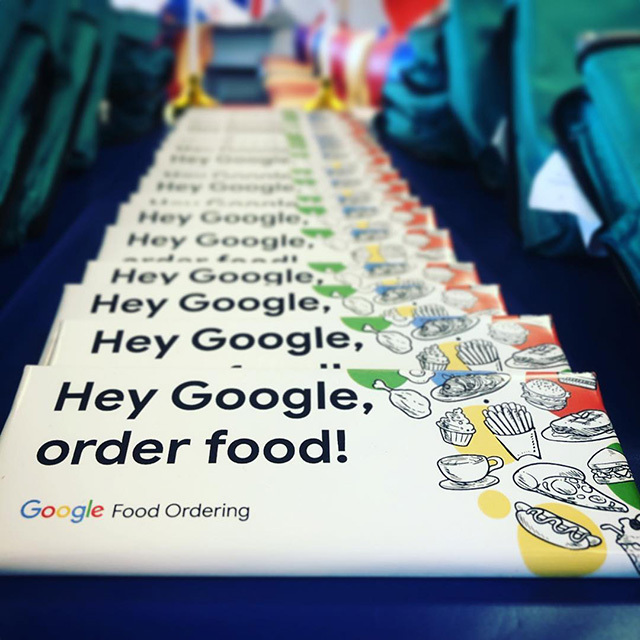 Google food ordering. Looks like either a chocolate bar or card of some sorts to me. I am not sure.